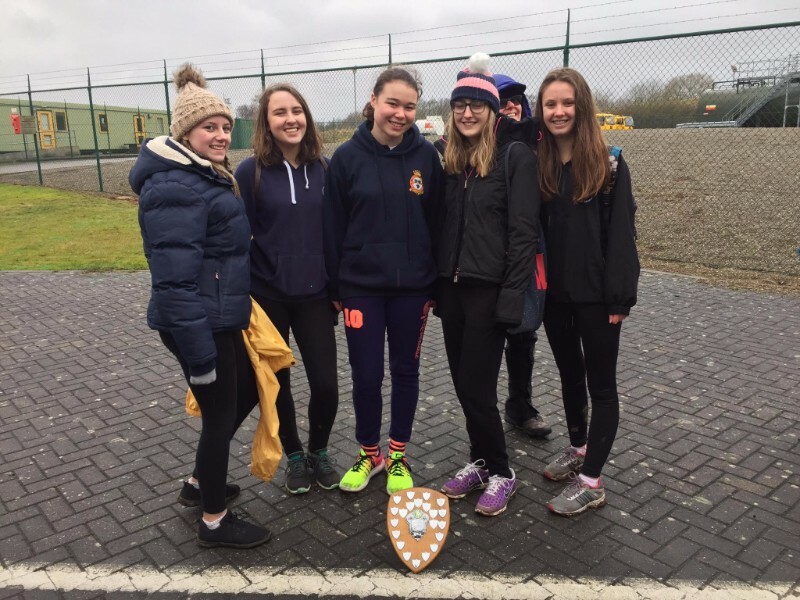 On Sunday 12th February, I and 27 other cadets took part in the Inter-Squadron Cross Country competition at RAF Cosford. After being briefed and doing a quick warm up with Cadet Sergeant Weetman, we all managed to try our best to participate in the race with, especially if you were running, a particularly challenging route. The first 400m was on plain grass and was fairly easy to run over but the further into the route you ran, the muddier it got (not forgetting to mention a very steep hill which I was tempted to crawl up). After running on a muddy pathway accompanied by a small stream, climbing up the hill and running along another muddy, narrow path you came to some tarmac (I personally gave out a sigh of both relief and enlightenment to see it). Furthermore, you’d run along a narrow field, down a hill and round a corner to then find yourself completing the course and looking rather worn out. Once we all competed in the event, we warmed up in one of the changing rooms where we reviewed the race and drew a range of things on the condensation-filled windows. This also gave us time to eat lunch and have a good hour of socialising. Later on in the day, the final parade was called next to the hanger we were located to. This was where we had a brief awards ceremony and found out some very exciting news. Our efforts paid off as our squadron came 1st in the Junior Women category and 2nd for Girls overall. We also had two cadets allocated to represent the Wing the following weekend at Inter-Wing Cross Country. Overall, despite the not-so-tropical weather, the day was enjoyable and very rewarding for all 28 of us who attended; even if we walked the course. For me, it has developed my confidence and has encouraged me to participate in other sports throughout the squadron. I can’t wait to have another go next year!